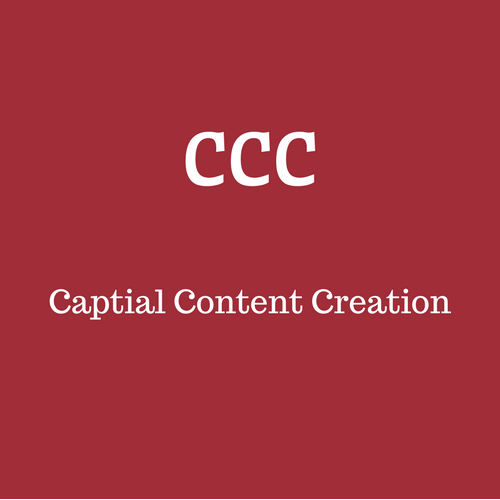 What Does Capital Content Creation Do? Shareable blog posts are also a critical aspect of content writing. Good copy will help you get backlinks and raise the profile of your company. In short, the more high-quality and shareable content – the better. So, how can you ensure that you are producing such content? Here are 5 tips for writing a high-quality blog post. Although SEO should always be a focal point, if you simply stuff keywords into your copy you will negatively impact the readability of your content, as well as its conversion rate as well as how it ranks in the SERPs. If you stuff keywords into your copy, readers will leave the page and search engines will slap you down. You might be amazed at how many words people misuse on a daily basis. When you do this, you lower the quality of your blog and reduce the trust that you a client might give you. After all, who wants to pay for incorrect work? For this reason, you should never use words unless you are completely certain of their meaning. Self-editing is never ideal. In a perfect world you would have somebody to edit your writing – however, the world is not perfect, and sometimes self-editing is a must. If you are in a position where you are responsible for writing and editing your web content, do your best not to do both on the same day. When the writing is still fresh, your mind will automatically make up the gaps in your copy and your editing will be subpar. Instead, come back to it another day — or at least several hours later. You might be surprised at how much you teach yourself when you consistently look up things that you are not sure about. While yes, it does take a bit of time at first, it will make a world of difference in the quality of content that you produce – making it well worth it. Plus, over time, you will have learned more, and be looking things up on a less frequent basis. When you reference content from another website, it is crucial that you hyperlink back to that site. This is known as good internet etiquette, and be honest, you would want the same courtesy if someone were to reference your hard work. Posted on November 30, 2017 by Capital Content Creation. This entry was posted in Freelance Writing, Uncategorized and tagged blogging. Bookmark the permalink.